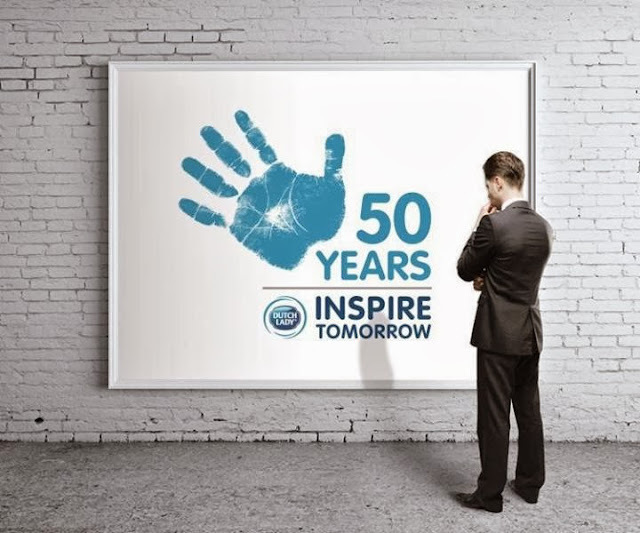 In conjunction with Dutch Lady Malaysia’s 50th anniversary celebrations, the Company has launched the Inspire Tomorrow Campaign, aimed to inspire and aid young Malaysians to pursue their dreams and ambitions through education, sports and creative arts, in line with the Company’s mission of Helping Malaysians Move Forward in life with Trusted Dairy Nutrition. As part of the campaign, Dutch Lady Malaysia (DLMI) has managed to collect more than 50,000 pledges, thereby kickstarting the 50 workshops. Teaching kids to learn, absorb, apply and practice what they learn. Activities that will provide new experiences and spark their interests and emotional development. Inculcating good nutrition and healthy habits to set a good foundation for the future. In line with the Government’s call to drive youth volunteerism and community development that involves young people, the Inspire Tomorrow Workshops is presented by Dutch Lady Malaysia through a unique collaboration involving multiple stakeholders namely PGCM, youth mentors, public volunteers, proPassion (Taylor’s University student PR consultancy), Malaysian celebrities Zaid Mohammad, Ziana Zain and even DLMI employees to inspire individuals, cultivate and nurture the next generation of Malaysians to become leaders. Incorporated in 1963, Dutch Lady Milk Industries Berhad is the leading dairy company in Malaysia. It was the first milk company to be listed on Bursa Malaysia in 1968. Today, Dutch Lady Malaysia manufactures and sells a wide range of quality dairy products for the home and export market, with all products enjoying a strong following in brands like Dutch Lady and Friso. Its holding company is Royal FrieslandCampina NV, a Dutch multinational corporation and one of the largest dairy cooperative companies in the world with an annual turnover of more than nine billion Euros. Employing 22,000 staff worldwide in about 100 different locations, the Royal FrieslandCampina has more than 130 years of dairy heritage, and is proud to have more than 30 established brands in its stable. proPassion Communications is a Public Relations and Events Consultancy module under Bachelor of Mass Communication by Taylor's University which promises to demonstrate passion, professionalism, and quality services to reach our clients’ goals. Currently, the team has involves to Dutch Lady Inspire Tomorrow Campaign project.